On 31 March, the 30th Arab League Summit took place in Tunis with 21 Arab countries participating. On 30 March, the so-called Libya Quartet – comprising the European Union (EU), the Arab League (AL), the African Union (AU) and the UN – met on the side-lines of the summit. The meeting was attended by EU High Representative for Foreign Affairs and Security Policy Federica Mogherini, Secretary-General of the AL Ahmed Abdulgheit, Chairperson of the AU Commission Moussa Faki, and UN Envoy to Libya Ghassan Salamé. 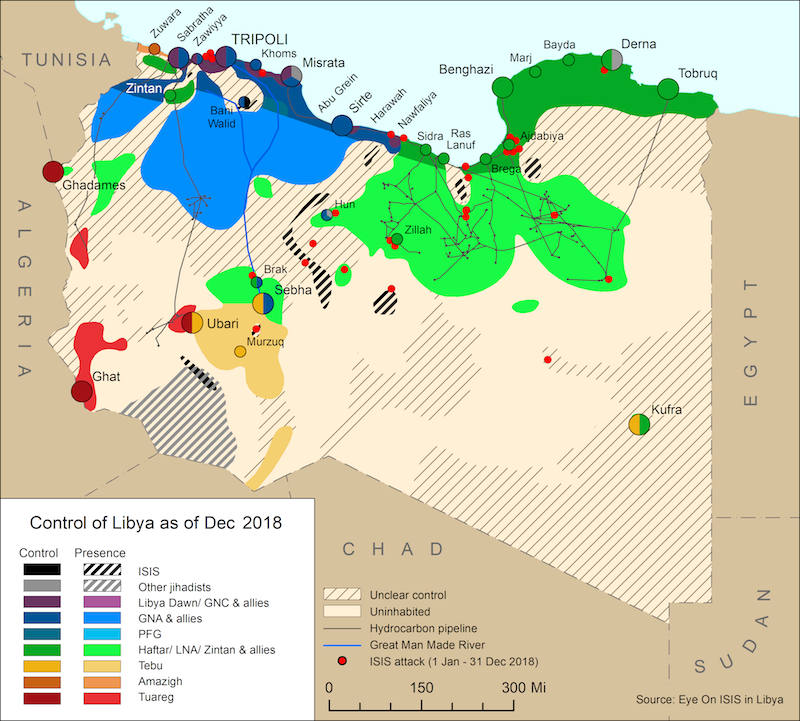 The quartet agreed to commit to and adopt the outcome of the UN’s National Conference in mid-April and to persist with its ambition of helping Libya’s competing factions move towards unity. Following the meeting, UN Secretary-General Antonio Guterres stated there was hope for an agreement between Government of National Accord Prime Minister, Fayez al-Serraj and commander of the Libyan National Army, Khalifa Haftar. 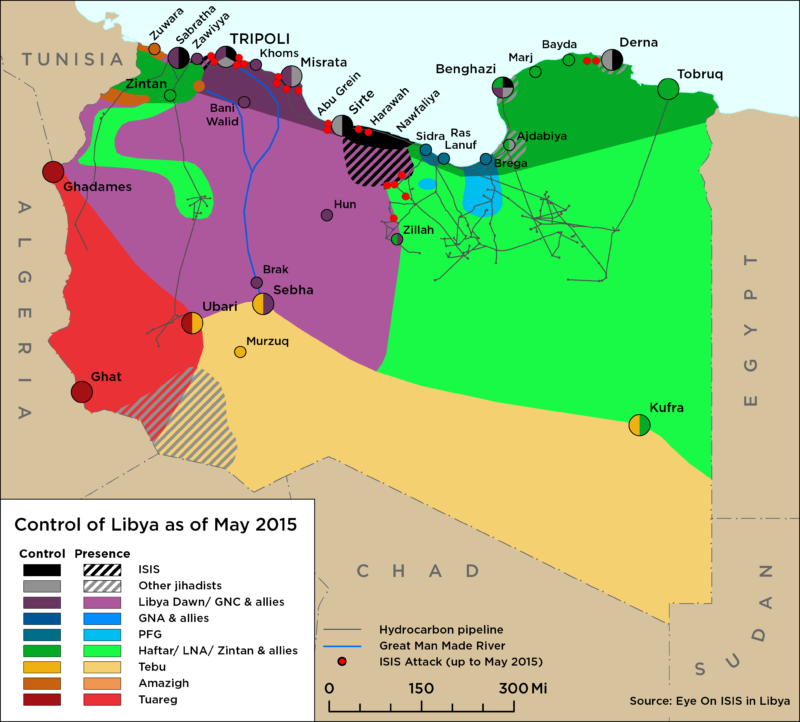 Subsequent statements and rhetoric focused on the conference being exclusively Libyan and free from foreign interference. On 27 March, Libyan National Army (LNA) head Khalifa Haftar visited Riyadh, Saudi Arabia, where he had a meeting with King Salam bin Abdulaziz and Crown Prince Mohammed bin Salman. The Saudi Arabian foreign, defence and interior ministers also attended. They reportedly discussed Libya’s political and security developments in the meeting. On 27 March, the Chadian government announced it has established a security force in its Tibesti Province to patrol its Libyan border, with headquarters in the Kouri Boughoudi area. The security force will be tasked with preventing human traffic and smuggling.